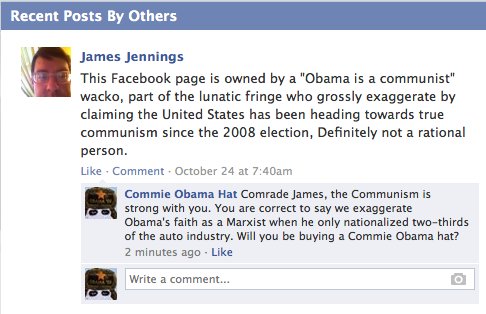 This comment from a useful idiot found at the very cool Commie Obama Hat Facebook page. 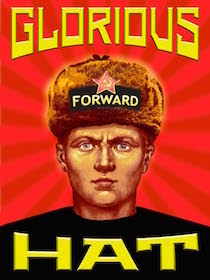 Mr. Jennings works at the Social Security Administration, so it is possible he has not felt the full wrath of the Obama economy on his earnings or health insurance. Lucky guy!